Then, for a pop of color I finished the card off with an On The Farm sentiment strip stamped in Canyon Clay. Maile - I love what you did with this set - how clever to stack the animals! Great cards, Maile! I especially love your stack of kraft farm animals! Nicely done! The Kraft animal tower is great and the chicken wire impression over the stamped animals looks fantastic. 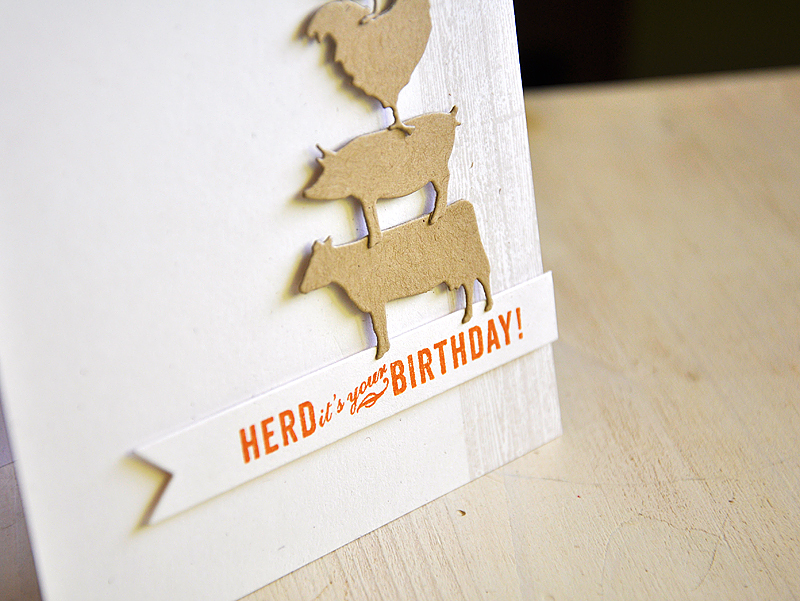 I was very interested in how you were going to take these farm animals and make a card that was distinctly you. I must say that I am impressed. :) But then again I am always impressed with everything you make! Absolutely awesome cards!!! I just love the animals stacked on top of each other!!! What a great idea!!! 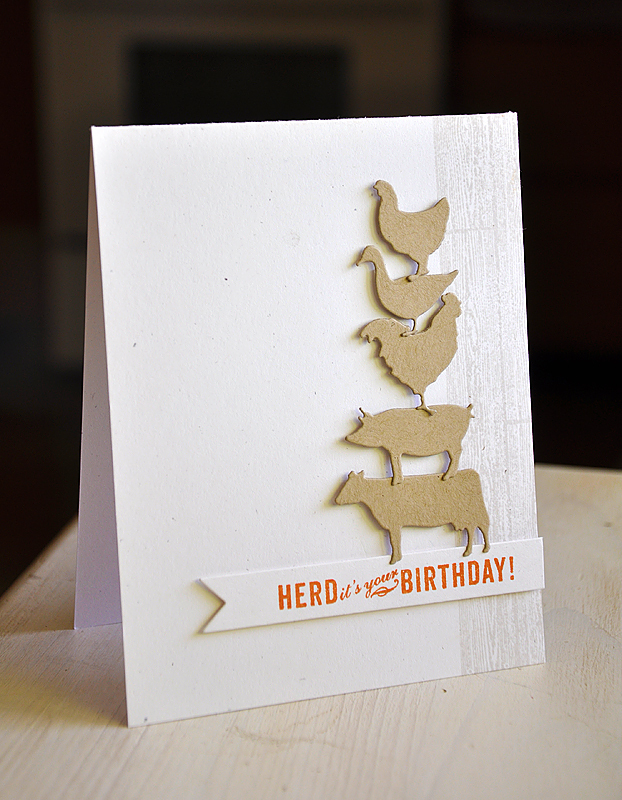 Love, love, LOVE your tower of farm animals, and that they are all in kraft paper ... so striking!! I love these cards! Simple and sweet! I am gonna have to get these stamps! Adorable cards... I just have to get this whole set!!! The chicken wire impression looks great over the stamped images. Your stacked animals are a riot though. Both cards are terrific! Love, love, love the card with all the animals stacked up! Priceless! I love love this new animal set!!! I love your farm creations, very unique and appealing. 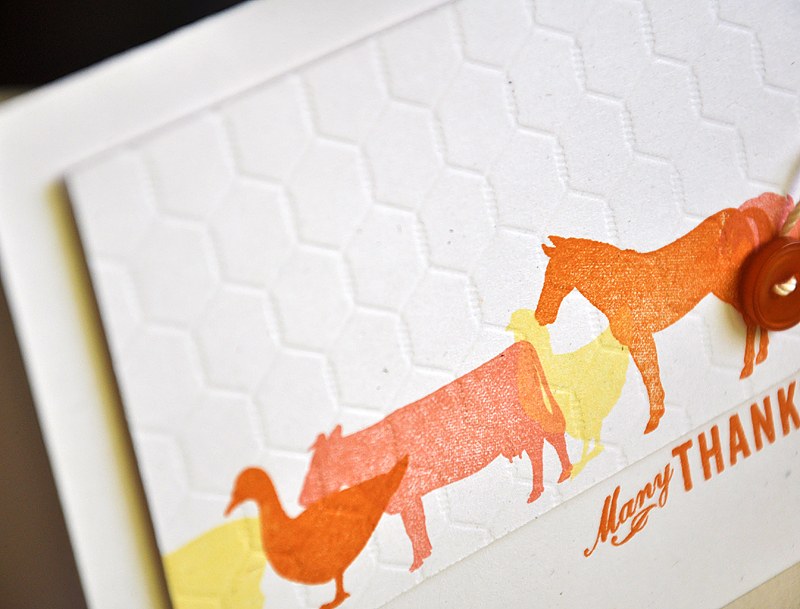 Great kraft cutouts, cute layout and love how you embossed the white one with the stamped images. Very nicely done. Simple yet elegant! Another reason to purchase this set! Maile! 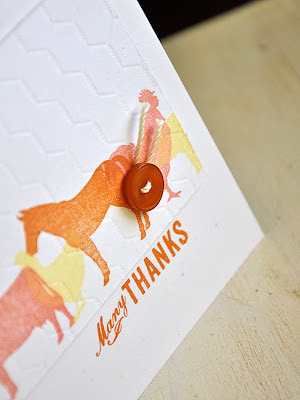 I just love the simplicity of your cards!!! fantastic (and everybody would love that bit of whimsy!! I LOVE this set Maile, and what you did with it! 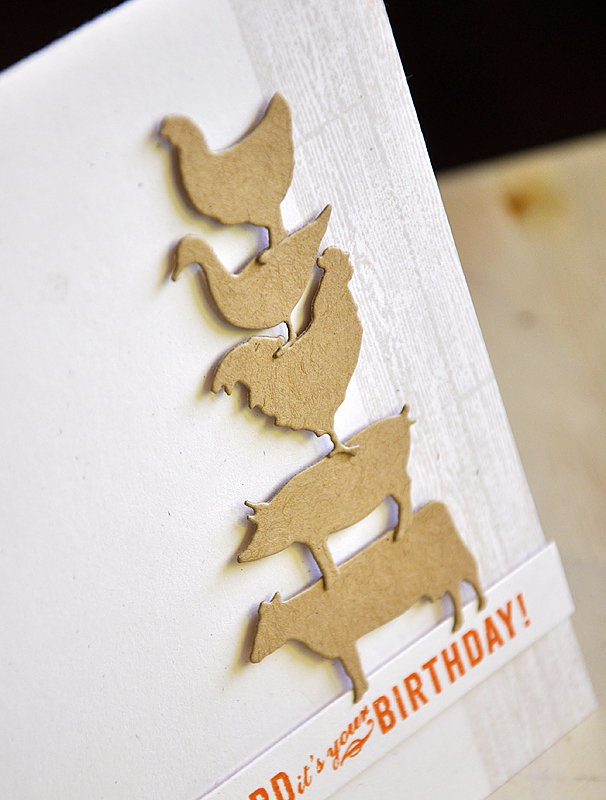 My sister loves animals, and we raise chickens and ducks, so I really want to get it :) Your second card is amazing! I love it!